Dakota Meyer asks: Why can’t the U.S. bring my intrepreter home? You are at:Home»Afghanistan»Dakota Meyer asks: Why can’t the U.S. bring my intrepreter home? With a deadly firefight raging, five men hopped into a Humvee and rode toward a small mountainside village in Afghanistan looking for a four-man team of U.S. forces that had gone missing in combat. The possibility that all five men wouldn’t make it out of the village of Ganjgal, in Kunar province, was high. Already, multiple Afghan troops the Americans were training had been cut down by machine-gun fire in a fierce ambush that was launched about dawn on Sept. 8, 2009. U.S. Army officers at nearby Forward Operating Base Joyce had declined to send air support in a timely fashion, leaving coalition forces on the ground scrambling for their lives. The Americans in that vehicle were Marine Cpl. 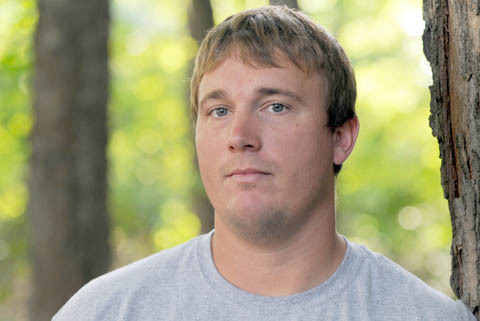 Dakota Meyer, Marine Staff Sgt. Juan Rodriguez-Chavez, Marine 1st Lt. Ademola Fabayo and Army Capt. Will Swenson. They were joined by an interpreter for the unit who already had volunteered to man a gun turret in the battle as Meyer scrambled on foot to help Afghan soldiers who were wounded and still under fire. Meyer, now a sergeant in the Individual Ready Reserve, received the Medal of Honor for his actions that day. Rodriguez-Chavez, now a gunnery sergeant, and Fabayo, now a captain, received the Navy Cross, second only to the Medal of Honor in honoring combat valor. Swenson was nominated for the Medal of Honor by the Army, and may still eventually receive it, despite the military launching an investigation into why it was stalled by his chain of command. The interpreter’s fate was different. Four years later, he is still in Afghanistan waiting for a State Department visa that will allow him to start over in the U.S. The situation has frustrated Meyer to no end, leading him to a media campaign in recent weeks to bring attention to the issue. The latest appearance was on Fox News yesterday. His interpreter — identified as “Hafez” to protect his identity — is scared that insurgents will get him in Afghanistan, Meyer said. Meyer said the U.S., by not helping individuals like his interpreter, will make it less likely others will help the military in the future. The four-man U.S. team that went missing was eventually found shot to death and was recovered. At least eight Afghan troops and another Afghan interpreter also were killed in the battle, according to military documents outlining what happened that day. This is an abomination. He fought for and served the USA, and is being denied a visa for political reasons. He should go to the US embassy and claim there is a “credible threat” to his life and ask for asylum. Then he will have a year (or more depending on how good his attorneys are) before he can appear in front of an Immigration Judge. Our POTUS has described this process in detail on the Internet. @ DAN LAMOTHE Any suggested solutions as to how we can help? The point of the publicity is obviously to put pressure on State. But to that point, how can we readers and watchers effect Meyer’s desired change? Will writing to our Congressmen/women help? Others? Any direction here will be much appreciated! Thanks. @ Kt Thank you very much! Probably was in front of my fat face and I just didn’t see it. I will sign and pass it around. Why only 36 signatures? I will cross post and ask others to do so. BTW, I lived in Blount County while in law school at UT and have family on Court Street. Murr-ville is a pretty town. Small world!!! !